Presenting your attention - Kiting (Kite). 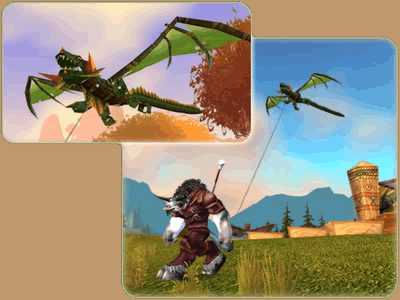 You can run around the world World of Warcraft amusing surrounding its beautiful and unique kite that will drag on a string for your character! Performing orders within 1 - 3 days (check with the operator), in the event of any force majeure guaranteed refund, taking into account a 0.8% loss for the translation of your WebMoney! This kite acts as an companion / pet. pet - Murky - "Murky"